The Supreme Court yesterday concluded arguments put forward in support and against the Bill titled "Theravada Bhikku Kathikawath (Registration) Act". All parties in the petitions were directed to file their written submissions on February 1. The Supreme Court's determination over the proposed Bill is to be communicated to the Speaker. Deputy Solicitor General Sobhitha Rajakaruna appearing on behalf of the Attorney General informed Court that provisions of Section 13 (2) (b) of the Bill will be removed from the Bill. The concerned section says; "The minister may make regulations... to specify the colour of the robe to be used by the bhikkus as determined by the Mahanayaka Theras of the three Nikaya. 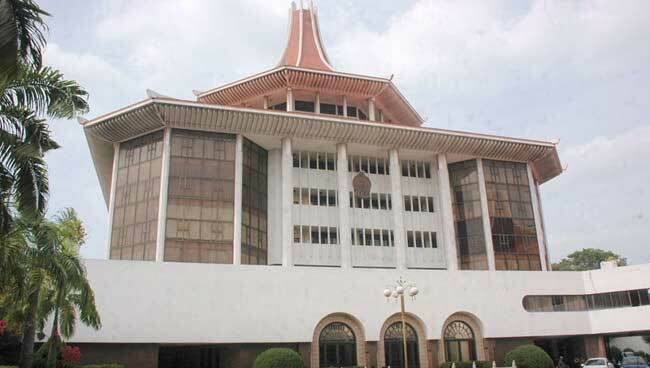 Meanwhile, President's Counsel Manohara de Silva with Senior Counsel Kanishka Witharana appearing on behalf of the petitioners highlighted the provisions of the section 11 of the bill citing it as the most dangerous clause of the bill. The section 11(2) (A) says; "A bhikku who fails or refuses to comply with such decision shall be guilty of an offence under this act and shall on conviction after summary trial by a Magistrate be liable to a fine less than Rs.50,000 or a imprisonment for a term not exceeding six months or both such fine and imprisonment". This petitions had been filed by Shasanika, Secretary of the "Pivithuru Hela Urumaya (PHU) Biyagama Suseela Theras of Sri Bodhi Vihara Pirivena in Udahamulla and Attorney-at-Law Nuwan Ballantudawa. President's Counsel Manohara de Silva with Senior Counsel Kanishka Witharana, Tissa Yapa and Dharshana Weraduwage appeared for the petitioners.